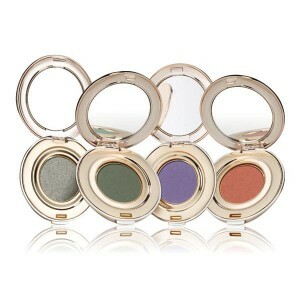 The ultimate in skin-care make up! 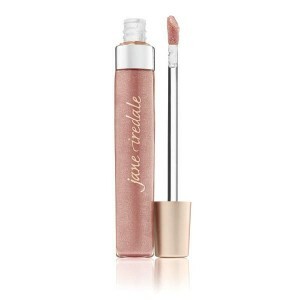 We have been huge fans of Jane Iredale make up for a while. 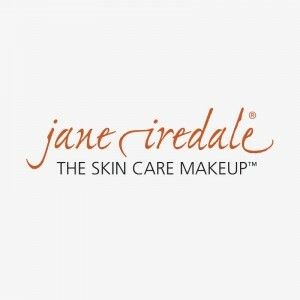 Maybe it’s because Jane Iredale, herself, believes that healthy skin is the most beautiful cosmetic a person can have or maybe it’s because her range isn’t just a refinement of conventional make up but is a different technology. Regardless of our reasons it is recommended by plastic surgeons, dermatologists and skin care professional throughout the world and worn by celebrities, so it must be good! The environment and animal welfare are important to us too and again this is reflected in this amazing range as it is free from parabens, fillers, synthetic dyes and artificial fragrances and is available in a huge range of colours from natural pigments and it isn’t tested on animals. So it’s environmentally friendly, animal friendly AND it is packed full of minerals that allow your skin to breathe and function normally making it ideal for everyone regardless of your skin type but particularly for those with problem skin. So if you are looking for eye shadows, mascaras, blushers, lip colours, hydration sprays, application too and make up kits then click on our shop and see what we have to offer. All too often people focus on what to put on their skin and don’t think about beauty coming from within! 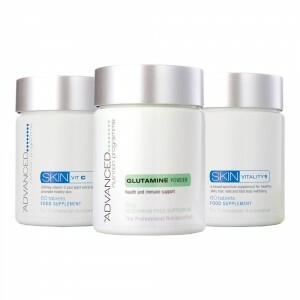 Your skin is the body’s biggest organ therefore it makes sense to treat it internally using this fantastic range. The process of ageing starts from within, and therefore cosmetic creams can only reach so far. 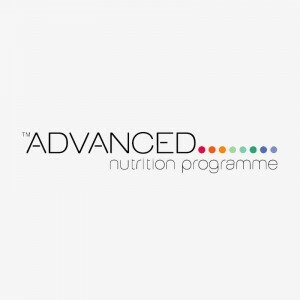 For this reason we’re proud to stock the Advanced Nutrition Programme™. This premium-quality range of supplements turbo-boosts the results of your skincare regime by nourishing skin from the inside, and also looks after your general wellbeing. There is something for everyone with our range of supplements: Probiotics, Detox, Skin Antioxidants to name a few. Or why not try the packs that are tailored for pregnancy, the effects of the sun or those that work hard and party hard! 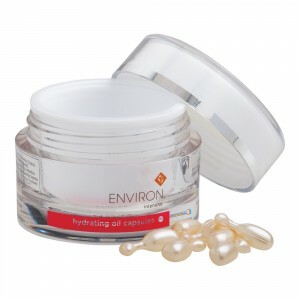 Introducing …… ENVIRON ….. a range suitable for everyone! We have worked with Environ products for a number of years now as we can’t find anything else that comes close, and we are particular !! Not only do we love their products, we use them ourselves and we LOVE that they are not tested on animals. They are tested on human volunteers including their founder and directors! The Environ range is suitable for everyone as it features the most effective ingredients to normalise and protect your skin. 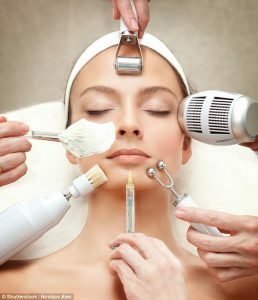 It offers a mix of salon treatments and homeware products all developed by leading South African plastic surgeon, Dr. Des Fernandes and will counter the ageing and damaging effects of the environment. All the Environ products have been formulated to rejuvenate the skin by replenishing depleted Vitamin A, quenching free radicals with vitamins C, E, beta-carotene which help neutralise the effects of UV radiation, pollution, smoking and stress. These formulations are aimed to benefit those who want to maintain healthy, youthful skin, as well as those with sun-damaged, pigmented, scarred and problem skin. The products are so well respected that they have developed their own a celebrity following. Environ fans include Elle Macpherson, Sienna Miller, Claudia Winkleman, Jaime Murray, Lynda Bellingham to name a few. To find out more about this range click here. or call us on 01285 713669 for an introductory consultation. Whether it’s makeup, massage, CACI / Laser / general beauty treatments you are looking for we have them! For our treatments you will need to come to the beautiful Cotswold Village of Fairford, in between Cirencester and Lechlade and not a million miles from Cheltenham or Burford. If you would like to buy our products : Jan Marini, Heliocare, Environ, Jane Iredale, Advanced Nutrition Programme, True Organic of Sweden plus many others then they are a click away with our online store. We deliver throughout the UK and mainland Europe. So we thought that over the coming weeks we would introduce you to all our products and treatments as many of our customers and clients are not aware of just how much we can offer. So look out for the next instalment………..
On Friday a national newspaper spilt the beans on how Oscar Nominated Actress Emma Stone (of La La Land) maintains her beautiful looks. In the article they said that the secret is out. What secret? It’s no secret. It is something we have known for a long time, as so do many of our clients ……. CACI facials are AMAZING! If you haven’t come across CACI facials before in a nutshell it is a clinically proven facial treatment that is a muscle lifting procedure that uses micro-current technology to send out tiny electrical impulses helping to tone and soften facial expressions. The results are quite dramatic leaving the face with the most natural lift whilst rejuvenating the skin and boosting collagen production. So no need for fillers or any other unnatural treatments. We love Winter Sun, we love offers, we love free Lip Balm. The sun is shining, the air is crisp and the snow is falling in Europe! Hurray! So if you are off skiing, snowboarding or sledging we have the perfect selection of products to keep your skin looking healthy and young. Regardless of whether you are off to Banff, Val d’Isere, Meribel, St Anton, Aviemore or Davos (other destinations are available!!) our Ski Kit selection is an ideal companion. 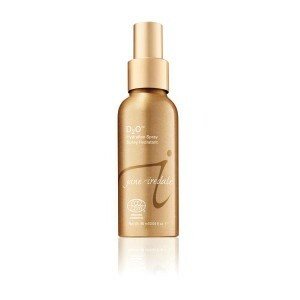 This lovely hydrating spray contains natural ingredients such as seaweed that help calm and balance the skin. Sun Screen by Heliocare, the ultimate in anti aging UV protection. Outstanding, breathable anti-ageing skin protection: A breathable, light mineral formulation that leaves your skin feeling luxuriously silky with a satin glow – it also sits perfectly under make up and is great for all skin types. 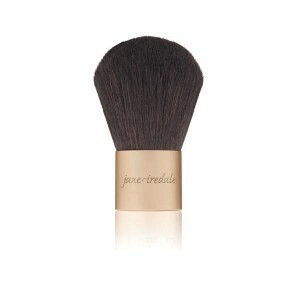 An amazing pressed mineral foundation that is slightly more sheer and matte than the loose powders. It is made from micronized minerals, free of synthetic chemicals, oil free and weightless. And if that wasn’t good enough it contains antioxidants such as Pine Bark Extract and Pomegranate Extract (a potent antioxidant that aids in minimizing UV damage). To place your order place each item (but not the Lip Drink) in your basket, check out and in the field that says “Notes about your order” type “Ski Kit” and the colour Lip Drink you would prefer and we will do the rest. Brushing up on great make-up application! 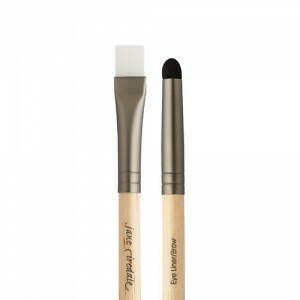 We have selected a few essential make-up steps and matched them with the perfect brush for you. 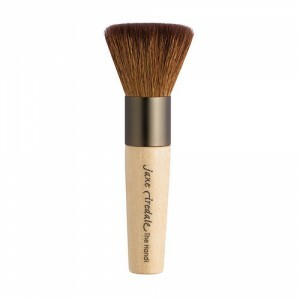 All of these plus many more brushes and accessories are available from our shop. Here at Face Beauty company we are thinking of all those lovely indulgent Christmas presents we are hoping to find under the tree or in our stockings! The look is glossy and the feel is creamy. It is a luxurious formula that feels lusciously creamy on the lips and contains Moringa butter and avocado oil to make lips feel conditioned, moisturized, quenched and nourished. We all agree that it is remarkably long – lasting and it is free of petroleum-based products. Treat your lips to 18 luscious PureGloss lip gloss shades that soothe, hydrate and nourish your lips for a fresh, pretty look. The picture above shows just 2 of the 18 available from our online shop for £19.95 each. This is a little bit of Magic. A real time saver and there is no faff. Magic Mitt™ quickly and completely removes makeup using NO cleanser. 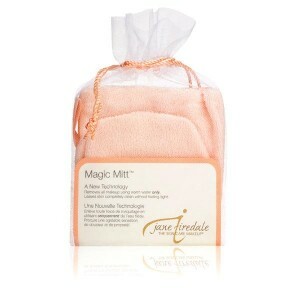 It’s a knitted micro-fiber cleansing cloth that quickly and completely removes makeup using water only. 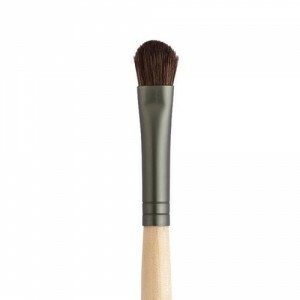 It promotes skin health, penetrates oil films that stick to the skin and removes makeup whilst exfoliating the skin. It even removes mascara! For more Christmas Present ideas, including vouchers, please visit our website or call Liz on 01285 713 669. Black Friday Offer. Half Price Laser & IPL Treatment. That’s where we can help. Book a course of Laser and IPL treatments in our Fairford Clinic rooms and get it for half price (offer valid until 15/01/17)! That way you can relax, feel good about yourself and you still have plenty of money left to finish off that Christmas Shopping. Brilliant! Lots of love for CACI treatments in the press! The Daily Mail has tested a variety of anti ageing treatments and techniques and guess what? CACI facials come out on top scoring a whopping 10/10. We love CACI facials here at Face Beauty, as do many of our clients from Gloucestershire and surrounding counties. So quick book an appointment and find out why it’s one of our most effective treatments! Go on give yourself an early Christmas Treat! 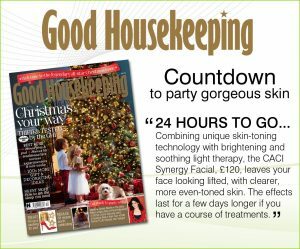 Meanwhile Good Housekeeping Magazine also recommends having a CACI facial to keep skin sparkling for Christmas!